The Boston Bruins had six prospects participating in the now-concluded World Junior championship, each looking to bring home gold for their country. While none of them succeeded, their performances are still important—the skill of future Bruins on display for the world. Last year, Charlie McAvoy led Team USA to a gold medal victory over host-country and rival Canada. McAvoy was a standout star, and his performance was an important reason for the Bruins signing him the following April. This year, though, there were no standout stars for the Bruins’ to be. Talent varied greatly; two of the three Bruins prospects on Team USA contributed for the team to capture bronze, while Finland and two more Bruins prospects were ousted in the quarterfinals by the Czech Republic. Oskar Steen came in clutch several times to help bring Sweden to the gold medal match against Canada, which they lost 3-1. For Team USA, second-pair defenseman and alternate captain Ryan Lindgren consistently averaged 19 minutes a game, while other defensemen like Mikey Anderson and Andrew Peeke saw anywhere from five to fifteen minutes. Lindgren, who was the Bruins’ 49th pick overall in the 2016 draft, will now go back to playing for the University of Minnesota, looking to complete his sophomore year. Trent Frederic made his name known for those watching the bronze medal game last Friday. Frederic was an iffy pick for the Bruins at the 29th pick overall in the 2016 draft but showed in the bronze medal game why he deserved to be a first rounder. Frederic scored four goals in a 9-3 blowout win against the Czech Republic (calling to mind a certain Bruin that scored four goals in one game over the weekend), including a shorthanded goal and two goals that came about from Frederic hanging around the net, which is a strategy often utilized by the Bruins. 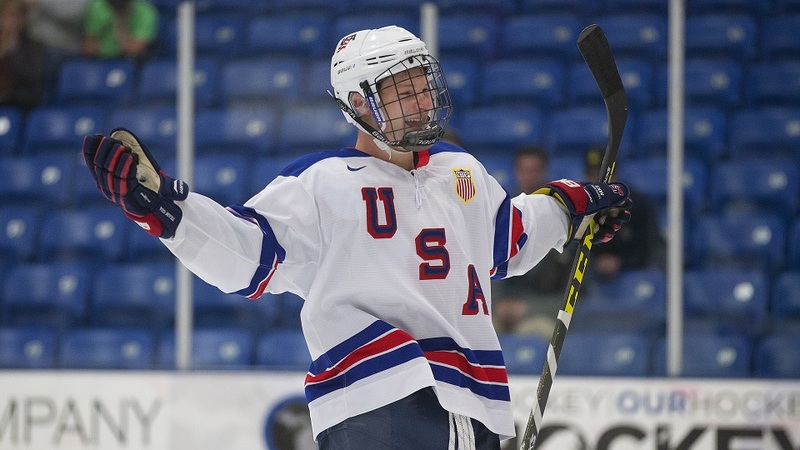 Jeremy Swayman, the third American Bruins prospect, didn’t see nearly as good numbers. Swayman dressed for the outdoor game against Canada and the bronze medal game against the Czech Republic, but only saw ice time for the United States’ last four minutes of the tournament when head coach Bob Motzko pulled staple goaltender Jake Oettinger and gave Swayman a chance to be on the World Juniors’ ice. He saved all four shots he faced, but it was clear Swayman was the third goaltender after Oettinger and Joseph Woll. The two Bruins prospects with Finland had less luck as well, but not where it was expected. Defenseman Urho Vaakanainen, the Bruins first pick in the 2017 draft, had a lackluster performance in the tournament and rarely showed any offensive spark, while Joona Koppanen, a fifth-rounder from the 2016 draft, played aggressively, scoring three goals and adding an assist in the five games played. Swedish prospect Oskar Steen, though another later pick (from the sixth round in 2016), delivered a memorable performance. The small forward played a scrappy style throughout the entire tournament but also scored a shorthanded goal against the United States that would eventually be the reason the US played for bronze instead of gold. However, Steen also took his scrappiness to a level of dirty play, when in the last few minutes of the game against the United States he egregiously slashed Kailer Yamamoto along the American’s left leg, sending him down to the ice. Steen reportedly had a hearing for the incident before the gold medal match, but he played in that game without a hitch. Though there were no Charlie McAvoy like performers this year, Bruins fans and brass alike saw performances that were memorable and could become just that (again, four goals). The tournament is a perfect stage for that, as well as for its own drama and talent, where hockey fans can see young NHL players come play for their country and thrive in front of the world. Student. Writer. Dreamer. Also hockey fan. Amongst other things, I'm passionate about writing, fantasy, and hockey, so expect a lot of fantasy and a lot of hockey. But not both at once.